Ever since I can remember, I’ve battled motion sickness. Whether it was a road trip for a family vacation or a plane ride traveling for work, I’d end up feeling nauseous and sometimes getting sick. I’ve tried numerous methods over the years to find some relief including the patch, wristbands, and other over the counter medications, but nothing ever seemed to work. Dramamine was always my go-to solution for travel and any motion related activity. It always did the trick, but often made me a bit sleepy. This was great for flights or long car rides, as long as I wasn’t driving, but it wasn’t an option after I had kids. Any mom knows, you can’t afford to be out of it when you’re responsible for little ones, especially while traveling. When I heard about their Non-Drowsy Naturals formula with real Ginger, I was so happy. To know that I could still get relief from my motion sickness all while staying alert for my little ones was priceless. But would it still be just as effective as the original formula? Does it really keep me from feeling drowsy? I had to find out for myself, so I partnered with Dramamine to put their Non-Drowsy Naturals formula to the ultimate test- a family vacation to Hawaii! We kicked off our trip by heading to the beautiful island of Kauai. For the initial plane ride, I made sure to take two of my Dramamine Non-Drowsy Naturals with plenty of water 30 minutes before we took off, and it worked! The kids did great and I was able to keep them occupied, all while avoiding that dreaded nauseous feeling. 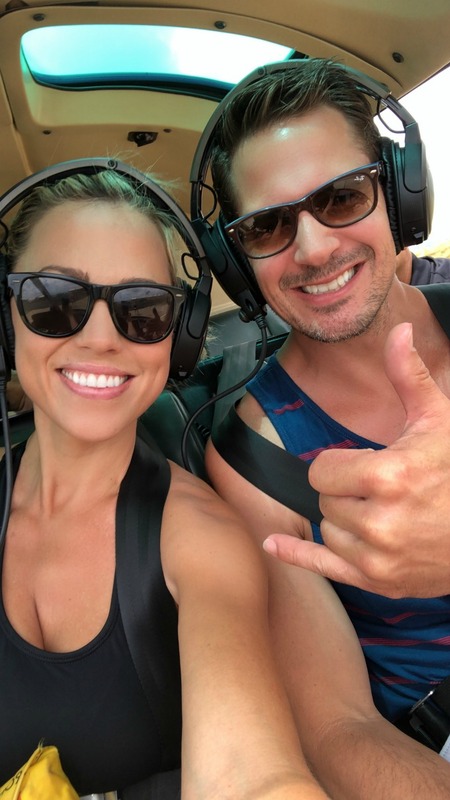 Our Kauai stay was filled with surfing, beach days, and even a helicopter tour! If those weren’t the best ways to test out my motion sickness, I don’t know what would be. Thankfully, the natural ginger helped calm my stomach, and my nerves, so I was able to enjoy every minute of these adventures. The final stop was my favorite island, Maui, where we tested out even more activities with movement. For anyone that has visited the island, or knows anything about it, you’ll know the best possible way to get motion sickness is on the Road to Hana aka Divorce Highway! For those of you who don’t know about this famous attraction, the Road to Hana is a 55 mile highway, that twists and turns through lush rainforest and cascading waterfalls. It truly is a sight to see, with multiple must-see stops along the way, but if you’re sensitive to motion, beware. I’ve been to Maui multiple times, but naturally avoided this trip due to my motion sickness. This time, I had to give it a shot, especially since the Dramamine Non-Drowsy Naturals had been working so well for me. I’m proud to say that I did not get sick and was able to take in the breathtaking scenery around me. We even stopped off to take a dip in the Twin Falls waterfall, which was my absolute favorite part of the drive. 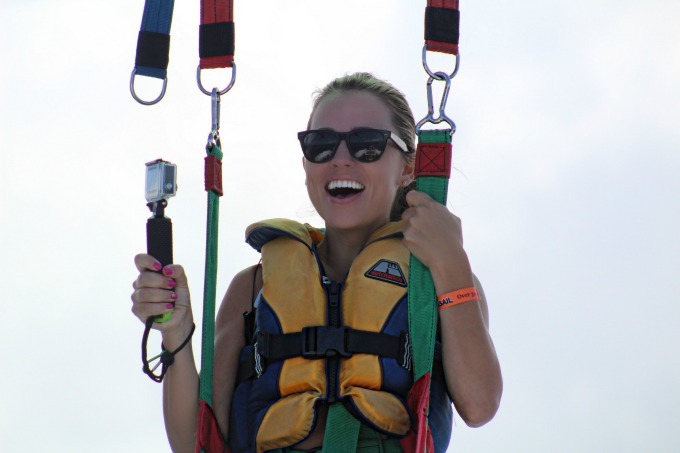 My last movement test, of course, had to be on the water, so I headed out to try Parasailing for the first time. Not only did I feel great going up in the air, but I didn’t get sick sitting in the boat, waiting for my turn, as the waves moved us up and down. I’m most sensitive to water movement, but the Non-Drowsy Naturals kicked in when I needed them the most. Overall, it was an amazing trip. Kyle and I got some much needed time together as well as with the kids. I’m so thankful for Dramamine Non-Drowsy Naturals for keeping me free from motion sickness without compromising my energy. Running up and down the beaches of Hawaii chasing my toddler required a lot of it!